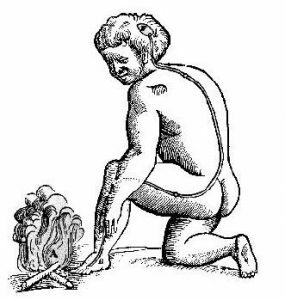 Ancient civilisations have recorded the importance of pressure, heat, water and sun, as treatments for pain. In these early times, humans believed pain was related to evil and magic, hence the responsibility of providing relief was left to sorcerers and priests. A theory of sensation was not introduced until Greek and Roman times, with the notion that the brain and nervous system play a role in producing the perception of pain. Support for these theories, however, remained relatively weak until the Middle Ages. The Middle Ages in Europe witnessed population increases, trade booms and heightened sophistication within courts and cities. It also, however, saw the emergence of Leprosy, the Plague and Madness – distinguished at the time into four main categories: frenzy, mania, melancholy and fatuity. The somewhat gloomy Middle Ages were dismissive of ancient Greek ideology. Therefore, they lapsed back to tribal folklore, combined with poorly understood remnants of classical learning. Intellectuals of the Renaissance looked disapprovingly on their Predecessors from the Middle Ages. They embraced the rational ideas of classical Greeks, which facilitated great advances in understanding and treating pain and disease. A brilliant anatomical illustrator of this time, Leonardo DaVinci, compared anatomy with architecture. He proposed that the spinal cord was responsible for transmitting sensations to the brain and the brain was the central organ responsible for sensations, such as pain. This era saw a rise in controversies between religious and secular explanations for various diseases. Emerging philosophy brought with it crucial implications for understanding mind-body relationships. Prominent figures responsible for important advances included the French Philosopher, René Descartes, who in 1664 first described a “pain pathway”. His theory of the transmission of pain signals led to what is now known as the “Specificity Theory”; the notion that pain follows one fixed pathway (Jackson, 2002). Descartes is often held responsible for modern day misconception, which recognises ‘mental pain’ as being different from ‘physical pain’. However, his investigation into pain was farsighted, as illustrated in his treatise De l’homme. Descartes was the first scientist to argue that the body works similarly to a machine, enabling it to be studied using theories developed by physicists, such as Galileo (Mundipharma, 1998). Thomas Willis also contributed to medical advances seen during this century, by attempting to map mental functions onto particular areas of the brain; he has since been called the founder of neuroanatomy and neurophysiology. The 18th Century saw a period of “enlightenment”. At the turn of the century, epidemics ran wild through Europe and mortality rates soared. However, propagandists continued to predict that scientific and technological advances would, in time, lead to a better future and improved medical practice. This century has been dubbed the “golden age of quackery”, with the birth and often swift demise of numerous medical fads. A lack of sound and credited theories, which they were based on, meant most were dismissed as quackery. One such fad, “Perkinism”, was almost written off immediately for being associated with the recently discredited theories of Mesmer and Animal Magnetism. Dr Elisha Perkins introduced Perkinism around 1790, claiming it could eliminate “pains in the head, face, teeth, breast, side, stomach, back, rheumatism and some gouts”, by using “Perkins’ Tractors” (Greenway, 2003). In order to work, the Tractors needed a theory. Thus it was not until in 1795 that Perkins’ son Benjamin renewed the Tractor’s patent in England, by stating “It is generally believed that they act on the Galvanic Principle.” With this association, sales and cures rocketed. Clearly, Perkinism provides an excellent example of the “Placebo Effect” (Collinge, 1997). The confidence, which accompanied the association of the Tractors with the Galvanic Principle, undoubtedly helped their efficacy. Numerous studies have since illustrated the significant response a placebo can have (Marchand, Kupers, Bushnell, Duncan, 2003; Hrobjartsson & Norup, 2003; McRae, Cherin, Yamazaki, Diem, 2004). In the 1800s, most people expected to experience pain in their lives and relied on religion or personal fortitude to help them endure it. Pain was simply regarded as a fact of life. For example, it was thought that the pain women endured during labour was the spiritual experience that would transform her into a self-sacrificing mother (Porter, 1997). This “age of revolutions” observed scientific developments, such as the discovery of pain relief. However, such medical advances were accompanied by a number of ambiguities. People wanted explanations behind their diseases, as well as cures. They also sought answers to deliberations, such as the meaning of life, in medicine. Medical scientists of the 19th Century discovered that opium, morphine, codeine, and cocaine could be used to treat pain. Felix Hoffmann, a chemist working for Bayer, wished to develop an analgesic to help the rheumatic pains of his father, devoid of the unpleasant effects of the naturally occurring analgesic from willow bark: sodium salicylate. He developed aspirin, which to this day is the most commonly used pain reliever. 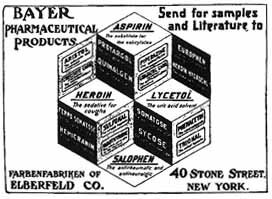 Initially, however, Bayer did not rush to its promotion, preferring diamorphine (heroin) instead. It was around this time that chloroform, nitrous oxide (initially referred to as “laughing gas”), which was held in high regard by Queen Victoria during childbirth, and other general anaesthetics were introduced. Some physicians, however, held back from using anaesthetics for concern over the ethics of operating on a comatose patient and many were concerned about the potential risk of death from an overdose of anaesthetic. The 20th Century led to further developments in almost every area of Medicine, especially pain, with drugs custom-designed to block specific pain mechanisms and fewer side-effects, emerging. By the close of the century, several options for pain-relief existed (Arnst, Licking & Barrett, 1999). Aspirin was widely prescribed and the, now commonly used, aspirin-like non-steroidal anti-inflammatory drugs (NSAIDS), such as ibuprofen and Naproxen, had been introduced for mild to moderate pain. Narcotics, such as morphine and codeine continue to be prescribed for severe pain. A shift away from thinking pain was life’s inevitable and acceptable burden occurred and the belief that pain was a physiological, and therefore medical, challenge emerged. Up until the last forty or so, years the specificity theory has been the dominant idea in the study of pain (Jackson, 2002). One of the first doctors to question its validity was Dr Henry Beecher, who began his investigation into relationships between subjective psychological states and objective drug responses, during his work with severely wounded soldiers in World War II (Ullrich & Burke, 1999). He observed that only one out of five soldiers carried into a combat hospital complained of enough pain to require morphine. By comparison, when Dr Beecher returned to his practice in the United States following the war, he noticed that trauma patients with similar wounds to the soldiers were much more likely to require morphine to control their pain. Thus, Dr. Beecher concluded that there was no direct relationship between the severity of the wound (sensory input) and the intensity of reported pain. Instead he proposed that it was the meaning associated with the injuries that explained the differences in pain levels. Another finding, which discredited the specificity theory was the discovery of phantom limb pain; veterans from the Vietnam War who had undergone traumatic amputations continued to experience pain in the limb that had been removed. Such developments paved the way for advances in pain therapy. Melzack began to pull together these scientific and clinical observations to explain how pain is multidimensional and not just something that happens to the body, as Descartes’ mechanistic view of pain suggested. In 1965, Melzack and Wall proposed the “Gate Control Theory”, which states that Pain is ‘gated’ or modulated by past experiences. They suggested that once the noxious agent that triggered the pain had ‘opened the pain gate’; other factors may contribute to the perpetuation of pain. Although their work drew on Descartes’ theory, they went further to claim that the brain and central nervous system played integral and active parts in receiving, modulating and transmitting pain impulses. Hence a bodily function for pain was proposed. Consequently, chemical and surgical interferences were developed to help alleviate, or even completely remove, the pain. Essentially, Melzack and Wall’s theory reinvigorated research in the 1970s on the physiology, emotional aspects and pharmacology of pain, which continues to this present day. In the 1990s, Melzack introduced a theory involving the integration of three separate pathways in the brain, with a concept called the “neurosignature”. He proposed that a large number of interconnected neurons, called a “neuromatrix”, exist in everyone. This neuromatrix analyzes the sensory information and gives perception of sensation. The neurosignature then comes into play and tells the brain that the perceptions of sensation are from the “self”, in other words the neurosignature tells the brain that your arm is YOUR arm and not someone else’s. Although his work is continually updated and revised, it continues to influence the research and management of pain. The dominant model to emerge in the first part of the 21st Century is the “Cognitive Behavioural Model of Pain”, which is described more fully in the next section.